Drakeshire Dental (Farmington Hills) - Book Appointment Online! 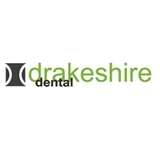 Please visit our website www.drakeshiredental.com To provide excellence in dental care for all patients. A continual commitment to customer satisfaction, service, care and comfort with special attention given to easing and overcoming patients fears and apprehensions. All of this done in a clean, warm and comfortable setting; so that our valued patient can enjoy a life time of good dental health which will enhance their quality of life. Emergency dental work - cracked tooth, missing filling.